Goodreads: In March 1861, Mrs. Lincoln chose Keckley from among a number of applicants to be her personal “modiste,” responsible not only for creating the First Lady’s gowns, but also for dressing Mrs. Lincoln in the beautiful attire Keckley had fashioned. The relationship between the two women quickly evolved, as Keckley was drawn into the intimate life of the Lincoln family, supporting Mary Todd Lincoln in the loss of first her son, and then her husband to the assassination that stunned the nation and the world. Kritters Thoughts: An educated free slave becomes Mrs. Lincoln's dressmaker, confidant and friend. Told through Elizabeth’s eyes, there is a new perspective on the Lincoln presidency and the impact that his decisions and the timing of those on the slaves in the United States. I know there are many books on the Lincoln presidency and now a Speilberg movie, so I was worried this book was going to be redundant and not feel fresh, but I was wrong – using an outside character to tell the story and where the story really impacts her life was a perfect way to see the Lincoln presidency and the Civil War. I absolutely adored that this story went beyond the moment where President Lincoln was assassinated. I had never heard Mary Todd Lincoln’s story beyond President Lincoln’s last breath and the hurdles she had to endure as the country moved on without her and her famous husband. To read about her ups and downs after leaving the White House was so interesting, I wouldn’t have minded if the author had inserted a chapter or two that told her perspective before he was assassinated and after to give even more detail as to who she was through it all. There was a lag in the middle where I felt like the story didn't quite center around Elizabeth, but instead the bits of war that more focused on Mr. Lincoln and the Union. Once the details of war were complete, the story picked up in pacing and then I couldn't put it down. A piece of historical fiction that although packed with information, read with ease. I really wanted to love this one, but I felt like Elizabeth didn't have a personality and was used solely as a lens through which to view Mrs. Lincoln. That's not to say that I didn't appreciate a closer and more balanced look at Mary Todd Lincoln though, as most media portrayals seem to focus on her eccentricities but don't see her as a multifaceted character. 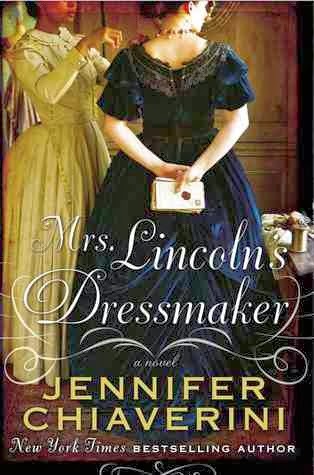 I started reading the novel "Mrs. Lincoln's Dressmaker" by Jennifer Chiaverini, and began wondering what parts of the book were facts, and what parts were fiction. Therefore, I decided to lay that book aside for now, and read this book, "Behind The Scenes" an autobiography memoir by Elizabeth Hobbs Keckley, the dressmaker of Mrs. Lincoln. I always enjoy reading autobiographies, and I thoroughly enjoyed reading Mrs. Keckley's account of her life as a slave and dressmaker. 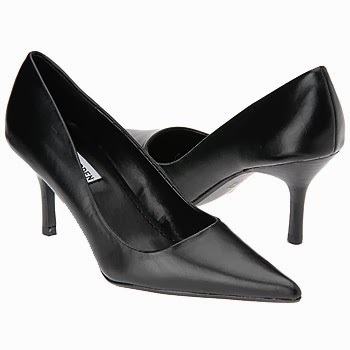 I didn't enjoy how she was treated as a slave, but it was an eyeopener for me. She was a brave lady, a hard worker, to the point that she worked long and difficult hours to make $1200 to buy her and her sons freedom out of slavery. She was a close friend of the First Lady Mary Todd Lincoln, and publishes many of the letters that Mrs. Lincoln wrote to her. It is a piece of history that otherwise would have been forgotten if not for this brave woman's decision to write about her life and the years she spent in the White House with the Lincoln's. When Mrs. Keckley published this book in 1868, she was criticized severely. I, personally, view it as a piece of history that would have been lost if not for this brave woman's decision to publish the book. I'm sure at the time she needed the money, but that is the reason most people today write and publish books is for the money, isn't it? If you like books about history, I feel you would like this book, whether you agree with it or not. Now I'm back to reading "Mrs. Lincoln's Dressmaker" by Ms. Chiaverini. I'm glad you enjoyed this book. Thanks for being on the tour!